I'm a product photographer experienced in photographing laboratory instruments for a clinical diagnostic equipment manufacturers. These kinds of products are difficult to photograph because of their large size, significant weight, and substantial use of highly reflective materials including glass, steel, and transparent plastics. 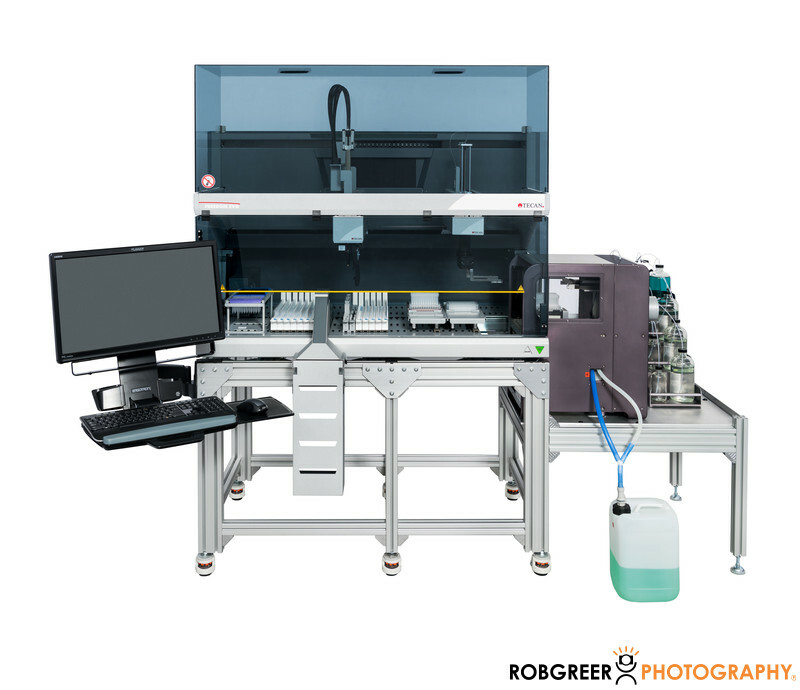 This client works closely with diagnostic laboratories, pharmaceutical and biotechnology companies, and university research centers and so the product photography for these devices is critical to facilitate sales of this very expensive equipment. 1/125; f/8.0; ISO 64; 38.0 mm.